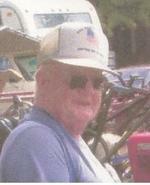 Harold (Hadd) Lee Barnett age 84, of Ashland, died Thursday February 16, 2012 at his residence. He was born on September 6, 1927 in Dayton, PA., the son of Clark and Mable (Kennedy) Barnett. Mr. Barnett had been a resident of Ashland County since 1969. He retired from the International Mill Service in 1983 where he had been employed as an equipment operator for 35 years. Mr. Barnett enjoyed gardening and working on old tractors. Survivors include his two sons and daughter in-law, Vaughn and Sharon Barnett of Ashland, Victor (Fiancée Melissa Witter) Barnett of Mansfield; four grandchildren; three great grandchildren; along with his brother Gerald Barnett of Lucerne Mines, PA. He was preceded in death by his parents; wife, Janet Louise (Suntag) Barnett; five brothers, Dean Barnett, Clarence Barnett, Dale Barnett, Wellington Barnett, Clifford Barnett; four sisters, Lottie Troutman, Bernadine Wilmouth, Laverne Searles and Leona Powell. Services will be held at the Heyl Funeral Home on Tuesday February 21, 2012 at 1:00 P.M. with Pastor Roy Hostetter officiating. Burial will follow at the Vermillion Cemetery in Hayesville. Friends may visit with the family on Monday February 20, 2012 from 6 to 8:00 P.M. at the Funeral Home. The family suggests memorial contributions may be made to Hospice of North Central Ohio 1050 Dauch Dr. Ashland, Ohio 44805.